Mike Shustek received his Bachelors of Science in finance from the University of Nevada, Las Vegas. 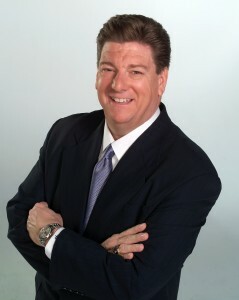 He jump-started his career in Las Vegas, pioneering different businesses centered on finance and real estate. Mike's list of accomplishments range from his involvement in the initial founding of Nevada First Bank, to specializing in non-judicial foreclosures. Mike hosts informational seminars and has been a guest lecturer on ethics and real estate law at the University of Nevada, Las Vegas. In 2001, Mike Shustek co-authored Trust Deed Investments, a book focused on private mortgage lending and trust deed investments, and authored If I Can Do It, So Can You. Mike is a huge sports fan and especially enjoys football. While some people root for teams, Mike focuses on players. Some all time favorite players are Markus Allen (former NFL running back and football analyst), Tom Brady (current quarterback for New England Patriots), and Joe Namath (former quarterback). Mike has also coached a championship little league team, and is a licensed single engine pilot. Information on this site is for educational purposes only, and is not meant to be a direct or indirect solicitation of any kind. All opinions expressed by Mike Shustek on this website are solely his. Investments or strategies mentioned on this website may not be suitable for you. This material does not take into account your particular investment objectives, financial situation or needs and is not intended as recommendations appropriate for you. You must make an independent decision regarding investments or strategies mentioned on this website. Before acting on any information, you should consider whether it is suitable for your particular circumstances and strongly consider seeking advice from your own financial or investment adviser.